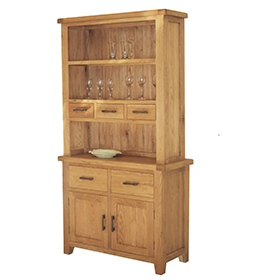 A wooden bed with curved headboard in stone white or pine. The Olivia Bed has an eye catching traditional low foot end, a matching slatted curved headboard and also has an attractive finish giving it a warm traditional look. 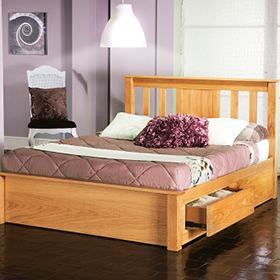 This bed with it's wooden sprung slatted base it is guaranteed to give the best nights rest possible. This bed is available in a stone white(off-white not brilliant white) or pine finish. The Olivia Bed is also available to order in 3 ft(90 x 190 cm) UK single sized or 4 ft6 (135 x 190 cm) UK double mattress size. Important - please ensure all your desired options are selected from menu. The Olivia Bed requires easy home assembly - assembly service available - contact us for info.